Collect notes form the incorrectly answered quiz/test. Request an assessment conference with Edgenuity facilitator. Bring assessment review notes and the module syllabus to the conference. Write discussion notes during the review. Review the assessment by discussing the errors with the students. Discuss the relative vocabulary and/or concepts in the assessment items, clarifying student. Document the ARC using the Edgenuity assessment Closure Form. The goal of Team Spirit is to contribute to the prevention of alcohol/other drug use while driving in high school-aged youth by developing a cadre of young leaders who, assisted by trained adult advisers, will plan and implement projects and activities to address identified substance use and related problems in their schools and communities. The Chess in the Schools program addresses several strands of the Common Core curriculum, including reading, math, critical/higher-order thinking, and life skills. Schools that have instituted a chess program have witnessed lower absenteeism and higher test scores among the chess team members. Randall Kinsey is the chess coach at EBR Readiness Superintendent's Academy. Mr. Kinsey is a Certified Chess Coach and a member of the Louisiana Chess Association and the United States Chess Federation. The Chess in the Schools program is under the supervision of Carlos J. Sam, Associate Superintendent of School Leadership & Instruction and Janet Pace, Director of the Foundation for East Baton Rouge School System. DECA prepares emerging leaders and entrepreneurs in marketing, finance, hospitality and management in high schools and colleges around the globe. More than 90% of DECA members say their experience empowered them to be an effective leader and connected school to the real world. 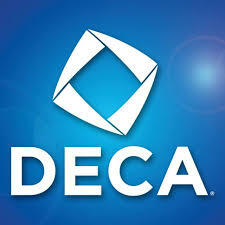 Nearly 80% of DECA members say DECA helped them recognize the benefit of community service. DECA members say their experience prepared them academically for college and career (88%), influenced their college plans (68%), influenced their career plans (75%) and influenced their interest in entrepreneurship and owning a business (61%). Eclipses are all about shadows. Eclipses occur when one astronomical object moves in front of another, or when an astronomical object moves into the shadow of another object. It occurs due to the special coincidence of the moon and the Sun being the same angular size. The Sun is 400 times wider than the moon, but it is 400 times away, so they coincidentally appear to be the same size in our sky. This is what allows us the phenomenal beauty of the total solar eclipse. Sprint's 1 Million Project is designed to provide increased academic opportunities for eligible EBR high school students by providing students with a high-speed WiFi hotspot including 3 GB of data per month for free!